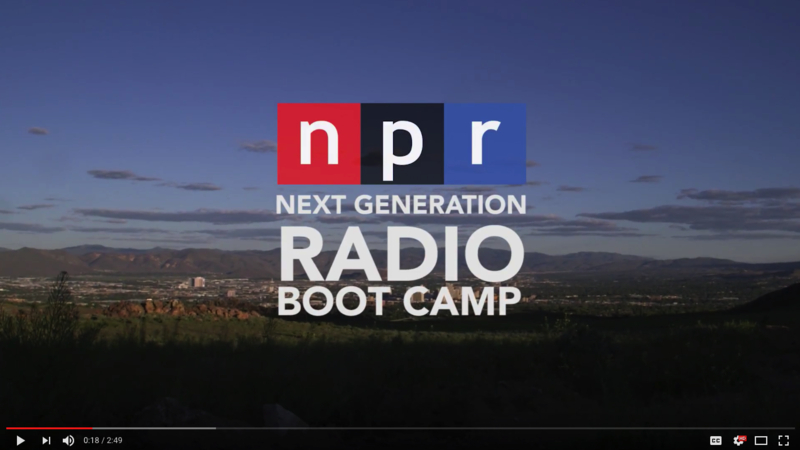 Five years ago The Reynolds School hosted the first NPR Next Generation Radio Bootcamp, a week-long intensive training program where students produce quality multi-media stories with the help of public media professionals. Since then 23 students have gone through the program and many have gone on to work in public media. This year one of the mentors includes a Reynolds School and Next Gen alumna. Regina Revazova as a graduate student at the Reynolds School in 2013 when she went through the bootcamp. She’s since interned at NPR’s “Tell Me More in D.C. and worked for two public media stations. Revazova is now an independent producer and video editor in Phoenix. Other mentors include, Brenda Salinas, a reporter for a new short-form audio company called 60db and Michelle Johnson associate professor at Boston University. Reynolds School faculty, Vanessa Vancour, and Nico Colombant will also be helping as mentors, along with KUNR News Director Michelle Billman. In addition to all the hands-on help and great connection in public media, students also get a $500 stipend. The bootcamp runs directly after the Spring semester ends, May 21 – 26. Interested in applying? Next Generation Radio founder Doug Mitchell has some advice. The deadline to apply is April 17. Reno Public Radio And The Reynolds School Host: First Amendment Under Fire?